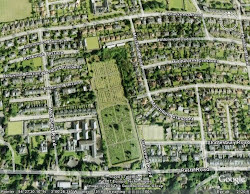 The land acquired by the Cemetery Company was owned by P H Thoms and feued to the Blackness Estate. The "old " part was called Gordon's Park and was cultivated as a nursery. The north end contained a quarry and was bounded to the west by Bain's dyke - a wall built by a mason working in Dundee in the late eighteenth century. In total the area measures four Scots acres or 5 acres 7 poles 4 yards in Imperial mealsure. 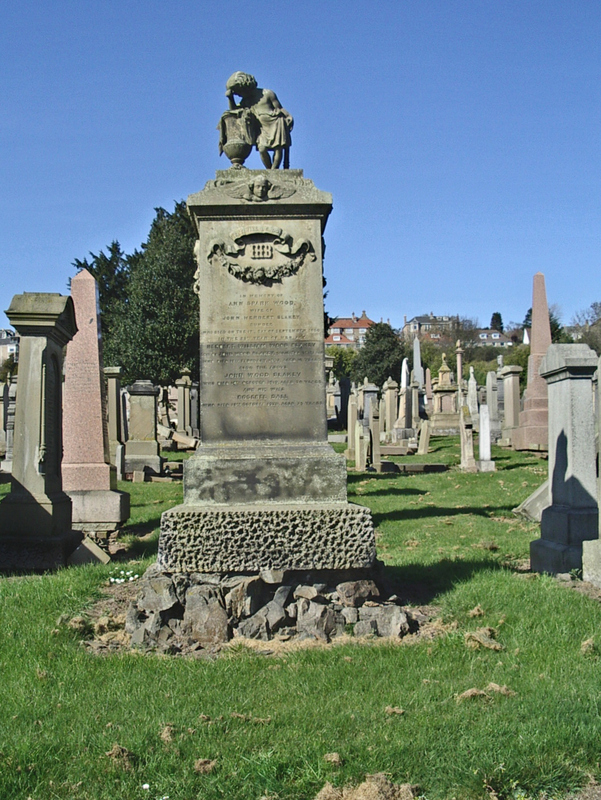 Death of Mr James R. Findlater C.E.- We regret to announce the death of Mr Findlater, Civil Engineer and Architect, which took place at his house at Broughty Ferry yesterday afternoon. Mr Findlater had long been in practice in this district, and had required and extensive reputation for skill in his profession. 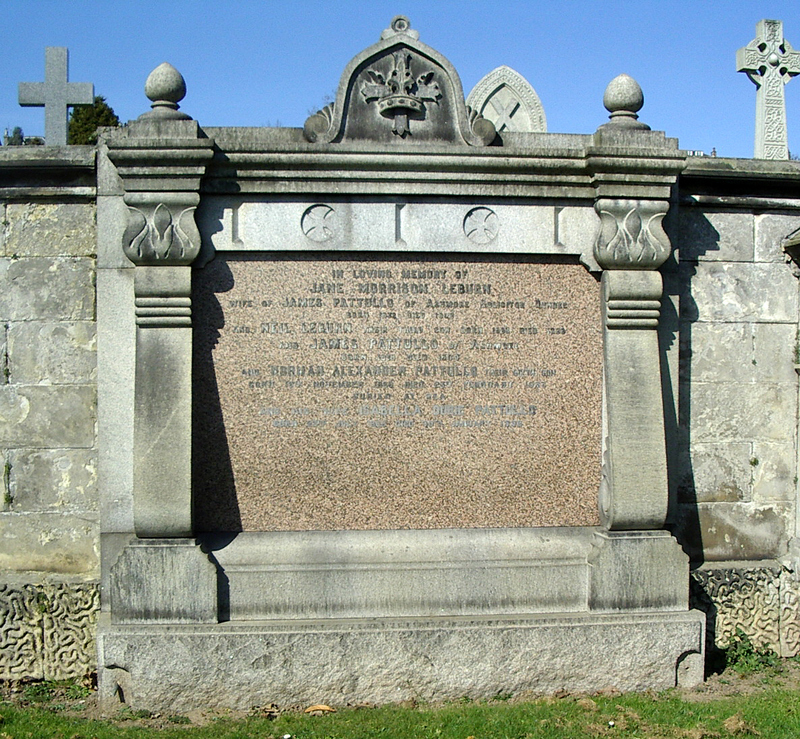 Among the various works in which he was engaged was the Dundee and Perth Railway, which was originally planned by him. 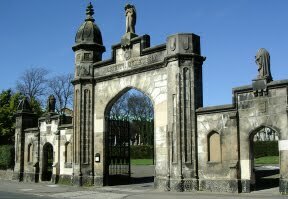 He also designed and executed the laying out and the ornamental wall and gateway of the Western Cemetery which at the time and still is universally admired. Mr Findlater was a man of great abilit, but latterly, from failing health, was not much before the public. In 1852 The site was consecrated by Bishop Forbes. 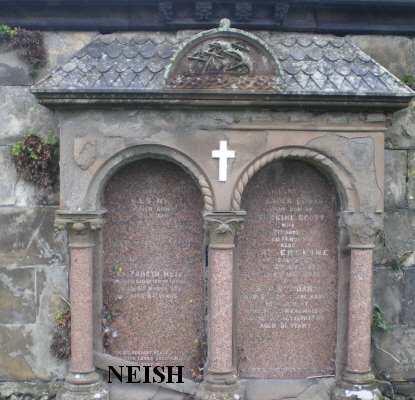 About the time the Western necropolis (Balgay) and the Eastern necropolis were being built the Cemetery Company appointed Robert Gordon Rae to lay out the final the north end - part of which was subsequently sold. 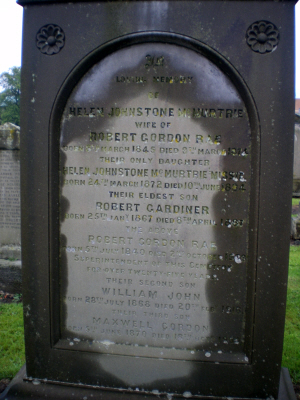 He was a landscape gardener, born in Aberdeen, who had become head gardener to the Earl of Eglinton before taking on the job of laying out the vast Craigton Cemetery near Glasgaow Rae died suddenly of a heart attack. His plans were never completed. The first directors of the Company were, from Dundee, Herbert Blakely, flax spinner, William Hay, writer, James p Shaw, merchant,Francis Roberson, merchant, William Patterson, architect and, from Edinburgh, Charles W Wright, seed-merchant, and Samuel Clerk of Marlon Ville, accountant. James Pattullo was Secretary and, after Blakely's death, Chairman of the Company. Pattullo was part of the syndicate that owned the ailing Advertiser. They replaced the then editor with John Leng and thus began Dundee's long association with journalism. 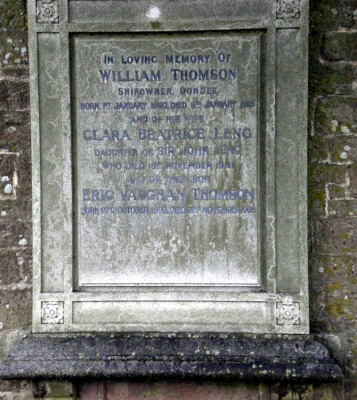 The Lengs and the Thomsons were united by the marriage of Leng's daughter, Clara, to William Thomson.